In 1973, when Jewel Thais-Williams opened Jewel’s Catch One on Pico Boulevard in Arlington Heights, gay black women didn’t own nightclubs—particularly nightclubs that catered to gay black people. From word go, Thais-Williams was a pioneer, and the authorities gave her hell for it. To Thais-Williams’s recollection, police were a near-constant presence at the club, parking as many as six cop cars outside some nights to deter customers. Then, in the mid-’80s, the club closed for two years following a catastrophic fire, which Thais-Williams still believes was a targeted arson. Of course there were plenty of good times too. 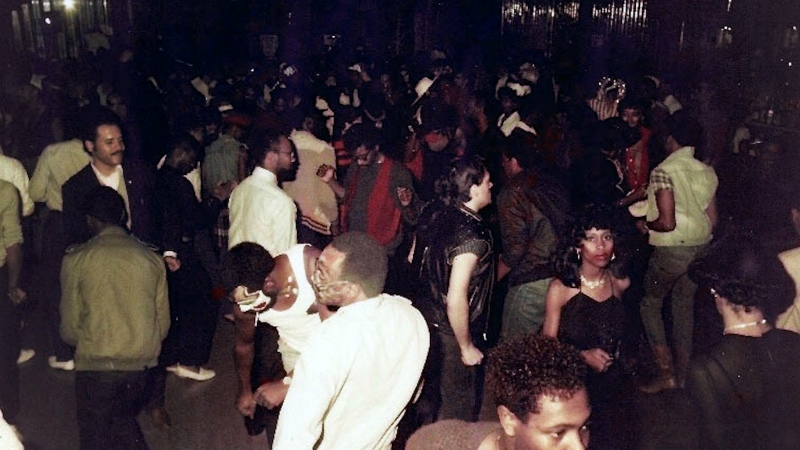 During the disco years and through the AIDS epidemic, the club was a safe haven for gay black people who’d been estranged from their families, a place where all folks could let loose. Long known as America’s oldest black-owned nightclub, Jewel’s Catch One shuttered for good in late 2015, in part so Thais-Williams could focus more attention on her acupuncture and Eastern medicine clinic, the Village Health Foundation. (The Catch One building is now home to Mitch Edelson’s Union nightclub.) In the years leading up to the closing (and in its wake), filmmaker C. Fitz made the documentary Jewel’s Catch One. Besides interviews with Thais-Williams, the film features conversations with Sandra Bernhard, Sharon Stone, Thelma Houston, Evelyn “Champagne” King, Congresswoman Maxine Waters, and other people close to the club and its owner. The film was completed in 2016, but it’s finally getting proper distribution thanks to Ava DuVernay’s distribution collective, Array. 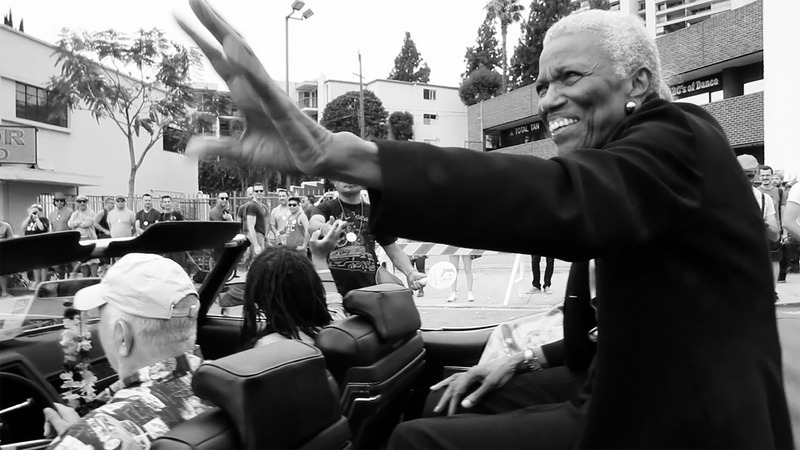 The doc premieres on Netflix on May 1; but first it shows as part of a double feature with Cheryl Dunye’s The Watermelon Woman at the Pacific Design Center’s Silver Screen on Sat., April 28. We caught up with Thais-Williams over the phone. What was it like when you saw the finished film for the first time? It was kind of surreal in a way. It was just what you do; you show up [to the club] without thinking it’s a need or thinking it’s extraordinary, you just do it. That’s how I felt. As I often say when I’m given an award or something, [giving] is a selfish act—it makes me feel good to help others. I’ve gotten what the universe gave me without having to give up anything except passing it on—and, no, I didn’t think about that at all that when I was doing it. I had happy hours most days because I knew a lot of folks had been disowned and didn’t have anything to eat except what we had at happy hour, at the free buffet every day. In the early days, when the Catch One was subject to a lot of police harassment, did you ever think about just calling it quits? I can’t say that I did. In fact, I’d say to myself, “There’s no quit to your game, Jewel. It’s no accident you were put in this position to do these things.” Nothing came from a silver spoon here. I walked in with a thousand bucks, which was literally all I had, and had to come up with $17,000 more in 30 days. How did you get the police off your case? You mentioned in the film that you’d assumed the building would be razed when it was sold—are you happy that it’s not only survived but that it’s continued to operate as a club? Of course, yes, yes. The new owners are so connected to the spirit in which the club started, the impression that we made, not only upon the city but upon the world, really….There’s a neon sign outside that still says Jewel’s Catch One. They’re grateful, they got a lot of good will out of it. And they’ve been very kind about letting me use it for a fundraiser here and there. They’ve been great. Toward the end of the movie, fellow former gay bar owner Gene La Pietra talks about how the power structure has changed and now it includes a lot of gay people—do you feel like you helped ushered in that shift? I think so. Because, well, a lot of celebs came out and that always helps. When Madonna [was coming to the club] people would drive down from the Bay Area hoping she would show up. It became popular with service people and a lot of the sports folks—the women sports teams, they would show up. Even more importantly, was that straight African American women could come to the club by themselves or with another group of girls and just dance. They didn’t have to wait around for a guy. They could go up and ask some of the most handsome guys in the city—they were gay, but they were fine. You could fantasize, anyway.